It’s been dropped 100 feet from a building, assaulted with a sledgehammer, flung off a cliff, and wrapped around a rock. 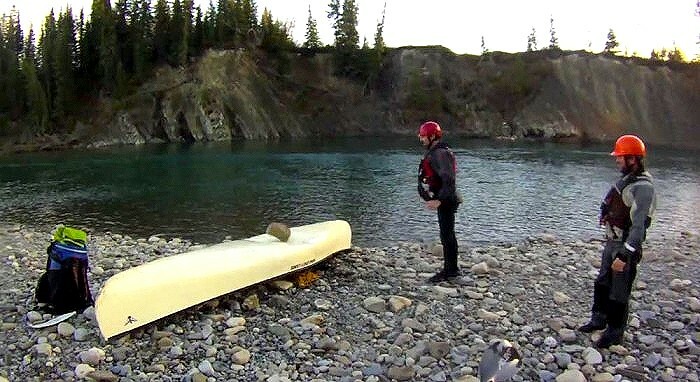 A new, super tough canoe might be the sturdiest boat we’ve ever seen. The boat’s builders, London, Ontario, based Nova Craft, have developed the canoe from a new super resilient material called TuffStuff — a composite made from basalt cloth (layers of woven rock fibers) and a specialized plastic. Nova Craft has made waves in the paddling world as videos of the brand abusing the boat have gone viral. 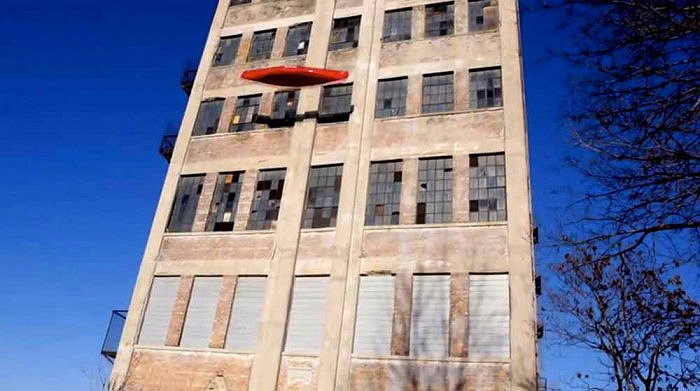 The videos show company president Tim Miller beating the bottom of the boat with a sledgehammer, standing and bouncing atop it, and finally dropping it off the top of a 100 foot building, all of which amounts to little damage. So confident was Nova Craft of the material that it handed the boat over to testers at Mountain Equipment Co-op to purposely abuse the boat. 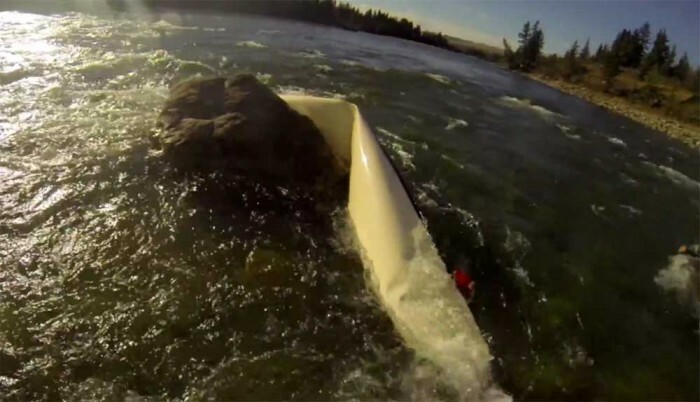 The testing crew dropped the boat from a cliff, flung it down a flight of stairs, let it fly from a moving vehicle, and wrapped it around a boulder, causing the boat to fold in half (image below). Although visibly damaged after the testing, it was still seaworthy. The TuffStuff line is intended for expeditioners — it’s about 20 percent lighter than Royalex, which was a common canoe material that was discontinued by its U.S. manufacturer last year. A 16-foot boat made of TuffStuff weighs about 59 pounds, similar to a Royalex canoe. 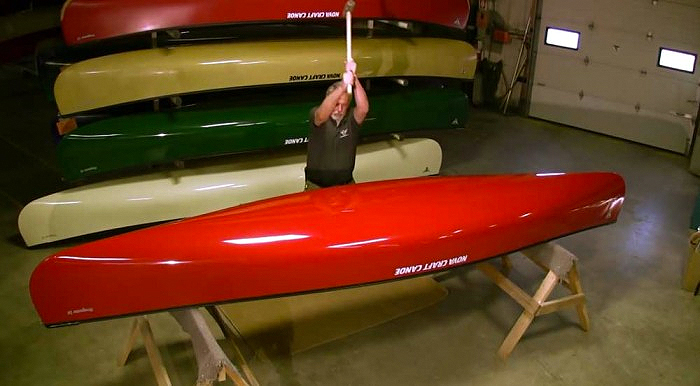 Although these boats are not going to be cheap — costing more than $2,500 at some retailers — it’s easier to cope with the price tag knowing this very well could be the last canoe you’ll ever need to buy.